Advanced DirectX12 Graphics and Performance (Wednesday 2-3pm, West Hall 2008): This technical session goes deep into the DirectX12 APIs you can use to reduce CPU rendering overhead, manage GPU resource usage more efficiently, and express the most cutting-edge 3D graphics possible across the spectrum of Windows 10 devices. Whether you are building a game for the phone, PC, or Xbox – you don’t want to miss this talk. Solve the Tough Graphics Problems with Your Game Using DirectX Tools (Thursday 5:30-6:30pm, West Hall 2008): This session shows the latest update of a set of great graphics tools in Visual Studio and Windows that enable you to build great games. Come to this talk to learn about our currently shipping features, the upcoming DirectX 12 toolset, and discuss future directions. This talk will highlight top graphics debugging and performance problems and map key features to help you address those problems. Better Power, Better Performance: Your Game on DirectX12 (Friday 10-11am, West Hall 2008): This session demonstrates how to architect your game engine to best reduce CPU overhead, increase GPU efficiency, and improve frame-rate stability using the new Direct3D 12 API. Understand the fundamentals for building a fast-performing, efficient game engine on Direct3D 12 and where to find the best resources for diving deeper. We have showed you projects based on Unreal Engine 4 running on DirectX 12, and also announced that Unity is releasing DirectX 12 support in the Unity 5 cycle. Now, you can see your games based on those engines running on DirectX 12! Bring us your packaged game projects, and Microsoft Engineers from the DirectX team will help you run your games on DirectX 12, show you directions for further performance optimization, and answer your questions. Even if you are not bringing your projects with you to GDC, we are glad to show you Unreal- and Unity-based demo projects running on DirectX12, and to answer your questions to bring you onto DirectX12. So make sure to check it out! Open your project in Unreal Engine 4.6. From the toolbar, select File -> Package -> Settings. Uncheck “Use PAK” and change the configuration to Shipping. From the toolbar, select File -> Package -> Windows -> Windows 64. In the dialog box, provide the path the folder you created in Step 1 and select OK. Copy the entire folder to a USB device and bring it with you to GDC! Does your game require custom libraries or a different version of Unreal 4 Engine or Unity? 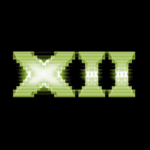 Is your game DirectX11? While we can’t promise a DirectX 12 port in such a short period of time, we’d love to talk to you about your game, how it might benefit from DirectX 12, and even walk you through some DirectX 12 sample code. So don’t be afraid to stop by! Not coming to GDC this year? No problem. Apply to the DirectX Early Access Program at aka.ms/dxeap to be the first to get new DX12 developer content!